And by that I mean, Kermit Gosnell has chosen life in prison. He could have chosen death. Gosnell dropped his appeals in exchange for life, not death. I'm not the first to note the irony that given a choice, Gosnell chose life. 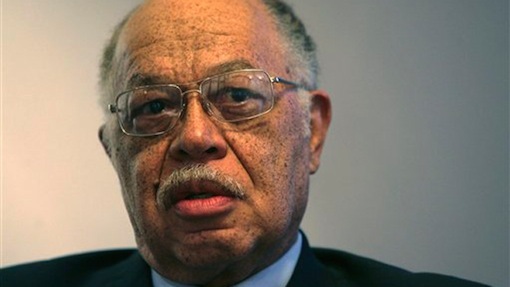 Kermit Gosnell: He chose life for himself, death for babies. Kermit Gosnell, abortion "doctor", found guilty yesterday of murdering three babies (he had been charged with killing four) during botched abortions at his "clinic". Gosnell was quoted as remarking that Baby A was "big enough to walk around with me or walk me to the bus stop." You may not have heard much about Kermit Gosnell. In fact, you might not have heard anything at all about him. The mainstream media was curiously quiet about his case. I don't know whether it was because the details about went on in Gosnell's slaughterhouse were so gory and horrific, or because it was a story that exposed abortion for the obscenity that it is. Last week I wrote about how Ariel Castro is facing "aggravated murder" from allegedly causing the deaths of at least one unborn baby during the ten years that he and his two brothers held three women hostage in Cleveland. The only person who was killed in that case was an unborn baby. Not a "fetus". Not an "unviable tissue mass". A human being. Kermit Gosnell is going to prison because he killed human beings. They were humans at their most helpless and most in need of love and compassion. Kermit Gosnell butchered them, laughed about it and made money from it. Kermit Gosnell is not a doctor. A doctor takes an oath to defend life. Gosnell took innocent life. Again and again and again. So what's it going to be, ladies and gentlemen? Either an unborn child is a human accorded all the rights as any other, including the right to live. Or it is not, and Kermit Gosnell has not committed murder at all. As I said last week: We can't have it both ways.